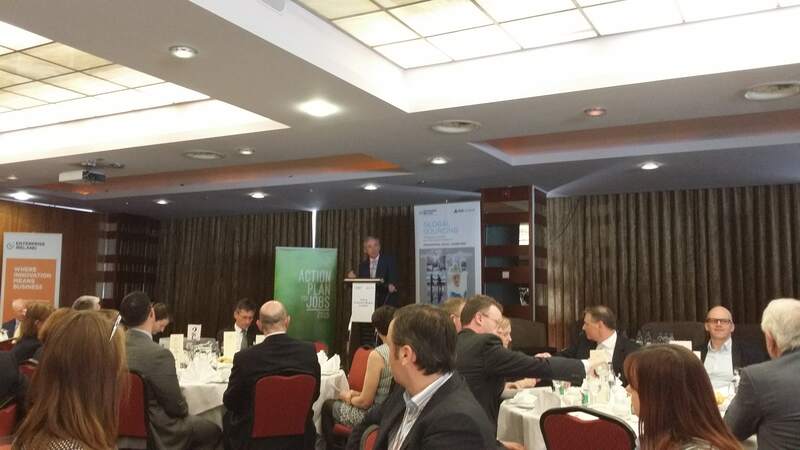 Mann Engineering recently attended the very interesting Enterprise Ireland Trade & Investment mission, which was a joint event between Enterprise Ireland and the IDA, where SME’s got the opportunity to meet and network with IDA client companies. There were four events over two days, in Dundalk, Waterford, Cork and Galway. Amongst the multi-national companies that attended the events were, Merit Medical, Bausch & Lomb, Genzyme, Schneider Electric, Boston Scientific, Allergen, Celestica, to name just a few. Mann Engineering attended both the Waterford and Galway events. Pictured making the opening address at the Galway event is Mr Richard Bruton, TD, Minister for Jobs, Enterprise & Innovation.